This beautiful spring weather has us at West Coast Auto Enthusiasts itching for the start of the Beaches cruise-in season at the Portland International Raceway. The first cruise-in of 2013 will begin at 4:00pm on Wednesday June 5th. 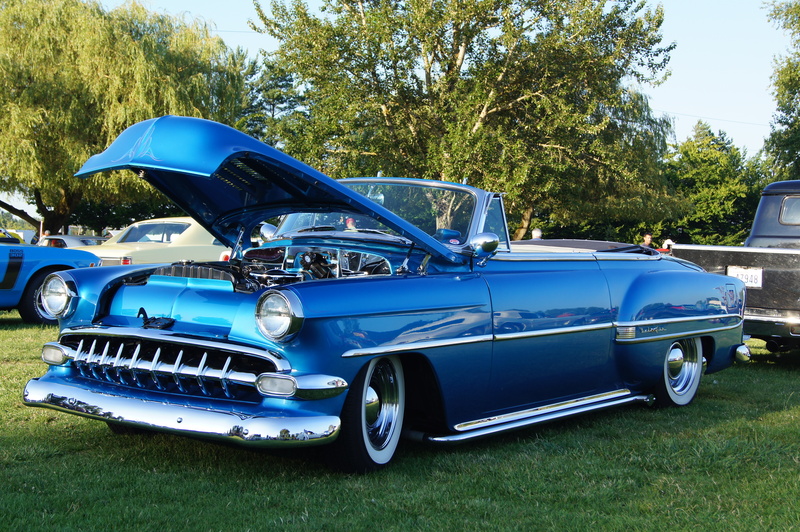 The gathering of over a thousand classic cars, hot rods motorcycles and exotics will continue on every Wednesday evening through September 25th, all starting at 4:00pm. There is also live music, food and drag racing of all kinds. The PIR website says that pre-1974 cars and trucks, Corvettes, Vipers, motorcycles and exotics are welcome on the show field. Free parking outside the gates for everyone else and two shuttles run throughout the evening if you don’t want to make the short walk in. The Beaches cruise-in is one of the largest weekly cruise-ins in the country. The first Beaches cruise-in was at the Beaches restaurant parking lot in Vancouver, WA in 1995. It grew in popularity and in the late 90’s the cruise-in was moved to the Pearson air park not far away. Pearson used to draw hundreds of classics and also brought in many unique aircraft that would fly in just for the event. Even the Pearson airport was too small for the crowds, so in 2000, the Beaches cruise-in moved to its current venue at the Portland International Raceway just across the Columbia in Portland. Beaches Restaurant’s philanthropic mission makes the cruise-in even sweeter with proceeds going to many different organizations to mainly help young people in the community. ~ by WestCoastAutoEnthusiasts on May 8, 2013.